The number of exercises and general training philosophies in this ongoing ‘VS’ series is really starting to add up. I’d like to include a few more training theories before I’m ready to conclude this very long series, and I’d also like to take a look at which exercise can be declared the best upper and lower body exercise. Before I get too far ahead of myself there are a few exercises remaining that need to be looked at to see if one can be declared superior to the other and whether the inferior of the two is worth doing at all. Today I’d like to look at the posterior chain and the exercises that can best build that chain. Of course, I’m talking about deadlifts. In this case, I’m talking about the Romanian vs stiff leg deadlift. They’re pretty much the same thing, I’m sure some of you are saying. Kind of I guess. Much like the way that back squats and front squats are the same things. By which of course I mean not at all, except in the basic mechanics of squatting up and down, and in this case both are deadlifts performed with locked knees. Make no mistake, these two lifts are very different from one another and I’ll get into the specifics shortly to help you determine which one is of greater value to your program and goals. 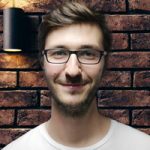 Beginning with the Romanian deadlift (RDL from here on in) I’d like to take a look at the mechanics of these two exercises because to the uninitiated they do look rather similar. Using a racked bar (unlike a traditional or sumo deadlift that begins ‘dead’ from the floor) an overhand or clean grip is used with a wide enough hand spacing to be just outside of your legs that are set at shoulder width apart. Your chest is held high and your shoulder blades remain retracted throughout the exercise while keeping your spines natural curve. The first movement, and largely all of the movement, is accomplished by pushing your hips back. Your knees should be slightly bent and your shins should remain vertical throughout the movement. The bar is kept close to your body at all times and your arms are kept straight. At about mid shin you can begin pulling your hips back in again and literally pull your body back to the starting position. At the completion of the rep you should be standing upright and not leaning back at all. In a way, this is more of a back and forth movement than it is an up and down movement. The bar travels down and then up, but the hips are doing all of the moving as far as the body is concerned and they are going back and forth on a horizontal plane. Moving on to the stiff leg deadlift, (SDL from here on in) the starting position is the same as the RDL, but that’s about all of the similarities there are. Make that two similarities as the knees should actually be slightly bent, but locked, just like the RDL. The reason for this is purely an issue of safety. A lot more can go wrong with straight, locked knees, than knees that are slightly bent. The effectiveness of the exercise is also enhanced with bent knees. 70-85 percent of the gluteus maximus fibers attach to the IT band and this band is stretched better with a slight bend in the knee. This will engage the glutes much more effectively. (2) Too much bend in the knee, however, reduces the overload on both the hamstrings and glutes. (3) 15 to 20 percent is the general prescription for an effective amount of knee bend. Now that I’ve told you how the lifts are similar to each other, I’ll get into how they’re different and the main difference is bar position. During an RDL your hips are pushed back keeping the bar close to your body, but during an SDL your hips stay in place and you’ll use them to hinge and as a result, the bar will travel further away from the body. Doing so will place a much larger strain on your lower back muscles. (4) In a way, this is like the difference between the traditional vs sumo deadlift as one favors more hamstring and glute while the other relies more on back strength. Due to the fact that there is less low back stress during an RDL because the load is closer to the axis of rotation and over the base of support, (5) simply meaning that the bar and weight is close to the body, you can use a lot more weight on RDL’s than you can on SDL’s. Using heavy weights during SDL’s is generally not recommended as are high reps because your grip will likely fatigue before your posterior chain does. Francis, C. “Training for Speed.” Australia: Faccioni Speed & Conditioning Consultants, 1997. Chek, P. Scientific Back Training. La Jolla, CA: Paul Chek Seminars, 1994. Tsatsouline, P. Full Range of Motion or Joint’s Demolition Project? Piper, TJ, Waller, MA. 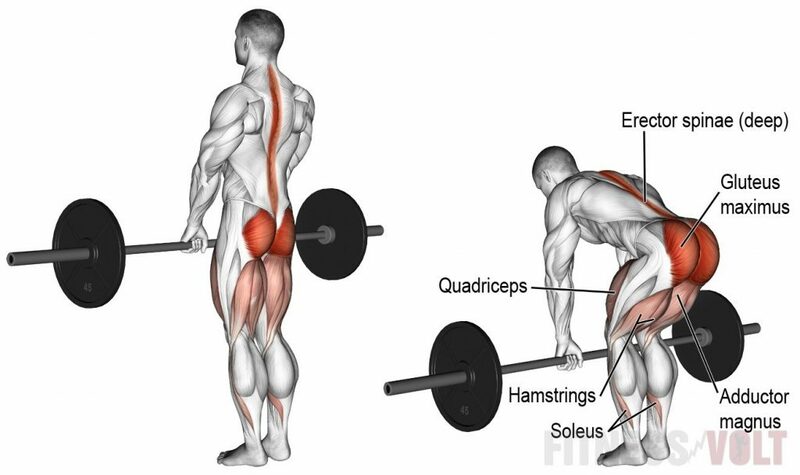 Variations of the Deadlift. Strength and Conditioning Journal, 2001, Vol. 23, No. 3, pp. 66—73. Ballantyne, CS. 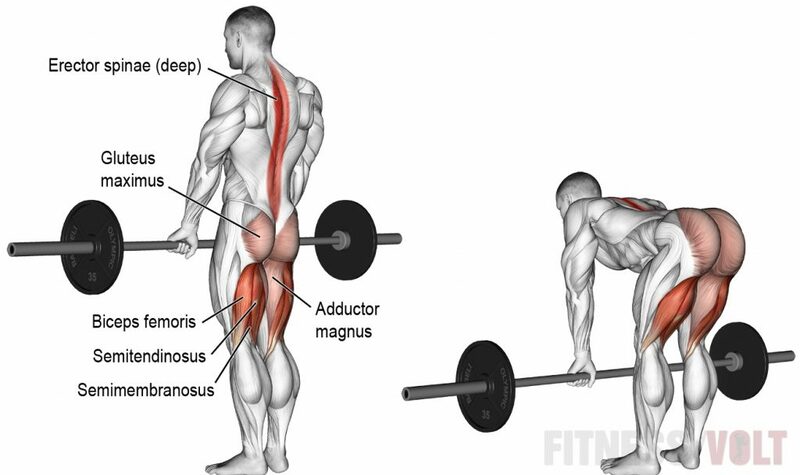 The Deadlift: 1 Exercise, 18 Variations. Issue #75.